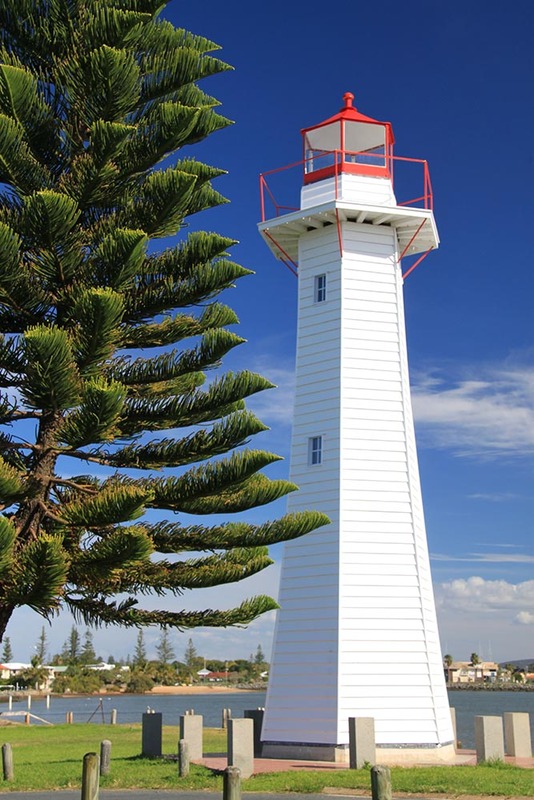 Cleveland Point Lighthouse | Lighthouses of Australia Inc. The Cleveland Point Lighthouse has been relocated and faithfully restored by the community that it served for over 110 years. 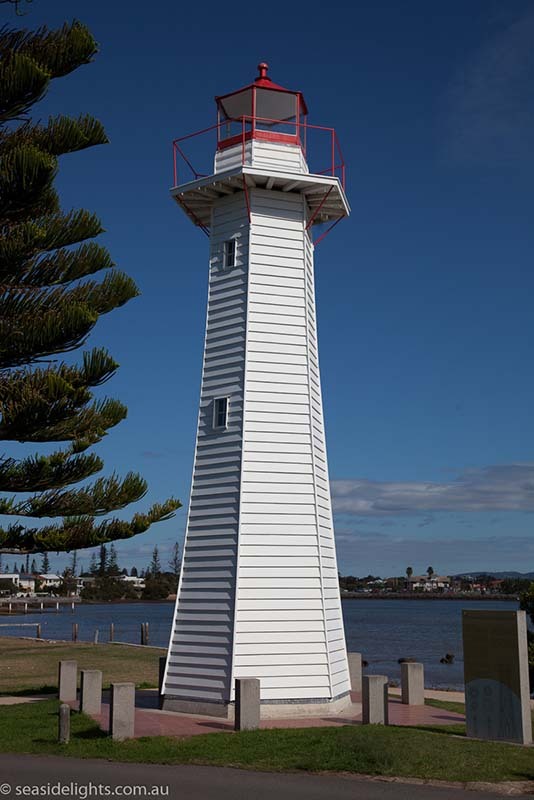 The Cleveland Point Lighthouse was the second light to be erected on this site, replacing an earlier beacon established in 1847. 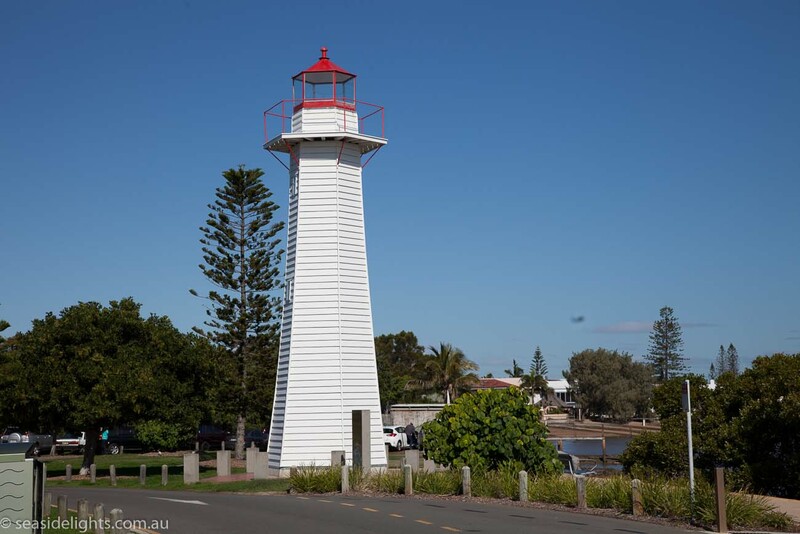 This lighthouse was built in 1864 and though being the the typical timber framed Queensland lighthouse is unusual because it is hexagonal rather than round and is clad with weather boards instead of the metal cladding common elsewhere in this state. It was built to accommodate Cleveland, a once a thriving port in the middle of last century. In 1872 the existing lens was replaced with the one from the Moreton Island light. Two red sectors were installed in 1920 to indicate shoals off Peel Island, Cleveland Point, Banana Island and Raby Bay. In 1934, the lighthouse was converted from kerosene to electric power. At this time the City Electric Light Company Limited became the responsible authority for the light. The first local experiments in the use of laser beams as navigational aids were carried out from this lighthouse in 1969. 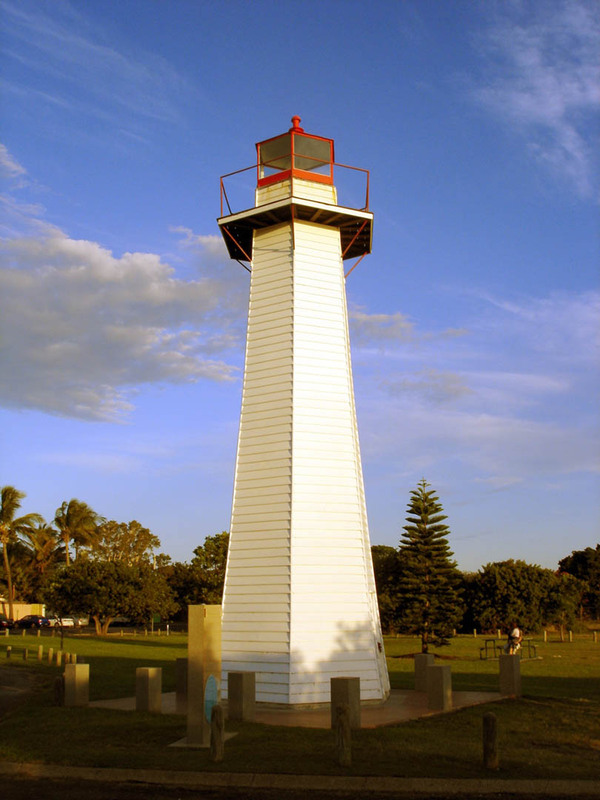 The light’s second keeper, James Troy 1877-1927, holds the Australian record for being the longest serving lightkeeper at one lighthouse.